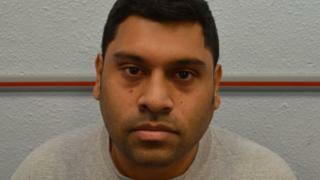 A man who used a James Bond-style USB cufflink to store extremist data has been jailed for eight years. Samata Ullah, 34, of Cardiff, admitted being a member of so-called Islamic State, as well as terrorist training, preparing terrorist acts and possessing articles for terrorist purposes. The Old Bailey in London was told Ullah was "a new and dangerous breed of terrorist" and a cyber-terrorist. He must also remain on licence for five years after release. The court heard how Ullah created a "one-stop shop" for terrorists from his bedroom, offering a range of guidance on how to stay one step ahead of police and security services. 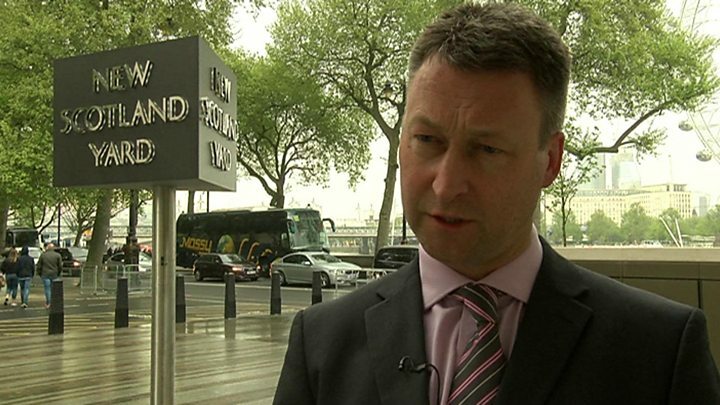 Brian Altman QC, prosecuting, said Ullah was committed to the cause of so-called Islamic State. "He deployed his not inconsiderable self-taught computer skills to further the cause of terrorism and in particular Islamic State, which we say he not merely professed to belong to but in fact belonged in terms of membership and ideological affiliation, all he did from the relative safety of his bedroom in Cardiff, where he lived alone," Mr Altman said. Ullah, who has been diagnosed with autism, admitted five charges earlier in March but his pleas could not be reported until after the prosecution had time to consider whether to put him on trial for a charge of directing terrorism, which he denied. The Attorney General accepted the pleas and the directing terrorism charge will remain on his file. The court previously heard when he was arrested on 22 September 2016, he had a USB cufflink with an operating system loaded on to it to conceal a hoard of extremist data, including a blog. The court was told that between December 2015 and his arrest, Ullah had provided instructional videos on how to secure sensitive data and remain anonymous online using encryption programmes. The prosecution said a hi-tech report dealt with Ullah's desire to copy his blog on to a platform in a "format that meant it could not be closed down or deleted by the authorities". British counter-terrorism police tracked him down after being passed intelligence by the FBI who had been handed the information from authorities in Kenya, following another man's arrest. Commander Dean Haydon, head of the Metropolitan Police's counter-terrorism unit said: "It is the first time we have seen anything on this scale. "He had set up a self-help library for terrorists around the world and they were using his library. "He was self-taught. He has accessed it online himself and compiled a lot of material and put it into his own library. He has created a one-stop shop for terrorists. "In my view he was a very dangerous individual although he was operating from his bedroom."